NOTE: Scroll to the bottom to download a Google Earth KMZ file of all airfields and heliports. 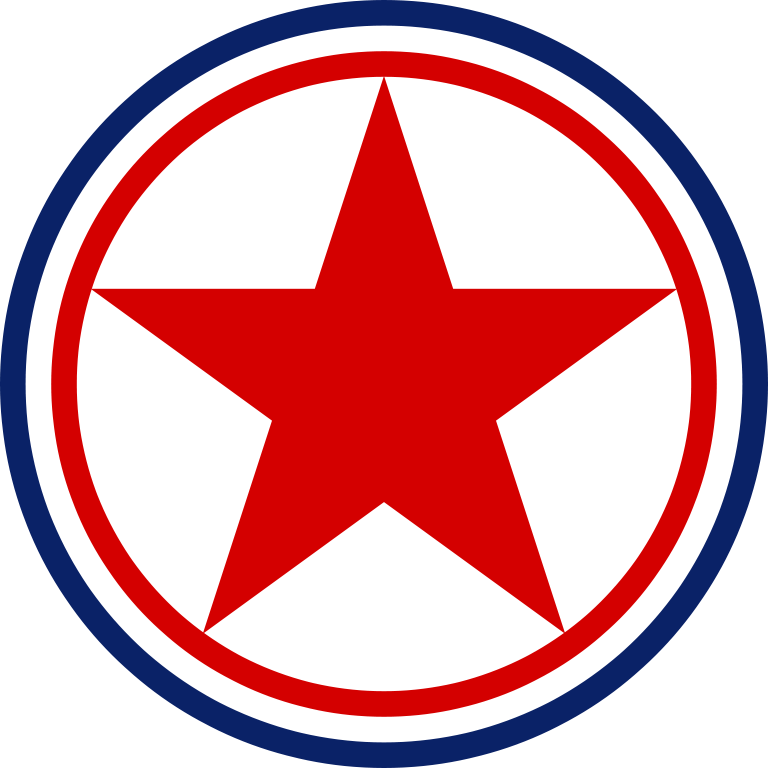 The Korean People's Army Air Force was created in 1947 and is one of five branches of the Korean People's Army. Today it has around 1,000 aircraft with 110,000 personnel. Given the military primacy system (Songun) of North Korea, we might as well consider domestic and military aviation controls as one and the same. 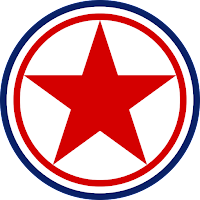 The KPAAF is currently divided into six divisions: 1st Air Combat Command (HQ at Kaechon), 2nd Air Combat Command (HQ at Toksan), 3rd Air Combat Command (HQ at Hwangju), 5th Air Transport Division (HQ at Taechon), 6th Air Transport Division (HQ at Sondok), and the 8th Air Training Division (HQ at Orang). These are all controlled by the central Air Defense and Combat Command which is headquartered in Chunghwa, Pyongyang. Combat air divisions consist of four to nine air regiments, service and support units, and have approximately 160-300 aircraft. They are organized into a headquarters and division command post, three to six fighter regiments, one bomber regiment, one to two helicopter regiments, five to seven anti-aircraft rocket brigades (SAM brigades), communications center, radar regiment, nuclear-chemical defense battalion, engineering battalion, transportation battalion, guard battalion, and a maintenance and repair unit. The overall combat readiness of the air force is low, ranging from 50% to 70%. Due to ongoing fuel shortages and lack of repair equipment/parts, training flight time is usually less than an hour and generally consists of take-off's and landings. The country has a total of 99 airfields and heliports. There are 12 main airfields, these include the six divisional headquarters, Pyongyang International Airport, Wonsan Airport, and others. There are 14 highway strips which are widened lengths of road used to serve as emergency runways in the event of war or other crisis. Of all the airfields, 20 are basic grass landing strips, 33 are paved, and 19 are heliports or single helipads. Ten of the known airstrips that still exist are also either fully abandoned or severely neglected. One thing I find curious, is that Chagang Province only has one airport, at Manpo. Chagang is a key military manufacturing region with otherwise limited infrastructure (it only has two domestic access points by rail). This shows the locations of all the airfields. The plane icons are for planes, helicopters for heliports, and the divisional headquarters are shown larger. Over the last few years there have been a number of improvements/expansions made to existing airports, and a few new ones have been constructed as well. Located about 12 miles from the heart of Pyongyang, North Korea's only official international airport (Pyongyang-Sunan International) underwent renovations and the expansion of its terminal. The following pictures are of the terminal before and after primary construction was over. Another facility in Pyongyang to undergo improvements was the VIP heliport in downtown. Situated along the bank of the Taedong River and among elite neighborhoods, the original heliport was completely demolished and new one was built next to the old site. 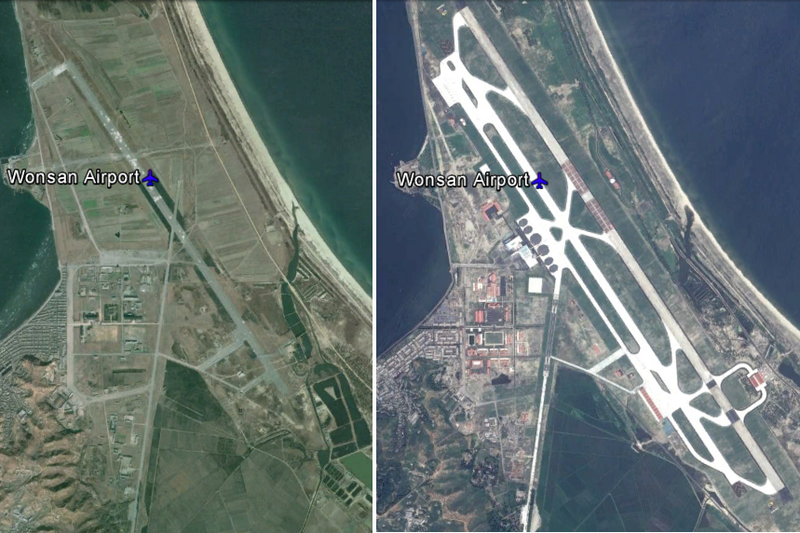 Moving across the country to the east coast city Wonsan, we find North Korea's newest (as of yet unofficial) international airport - Wonsan Airport. With Kim Jong-un's approval, starting in 2013 the airport underwent an extensive remodeling with the intent of enabling the development of a planned "Wonsan-Mount Kumgang Tourist Zone". The airport project is estimated to have cost $200 million. If true, that would represent over 1% of the country's entire economic output. For some perspective, 1% of America's GDP would be $170 billion. Each year North Korea receives around 100,000 visitors, Wonsan's new capacity is 1.2 million. The original plan for Pyongyang's expansion was to accommodate 12 million! Here's a side-by-side comparison of the before and after. There have been two new airports built in the last few years. There's a new Kumgang Airport (which is still not operational) that I wrote about in March 2015, and also in 2015, North Korea built a small paved airfield next to the International Friendship Exhibition. Here is the unused Kumgang Airport which replaced the grass Kumgang landing strip. I have been able to pull from different sources (not to mention the fact I've literally looked at every square mile of North Korea) and was able to put together a Google Earth KMZ file. It contains the locations of all 93 existing current and former airfields/heliports, along with a visual count of all aircraft seen, and additional information/links for certain airfields. To explore the file you will need have Google Earth. To automatically download the file from my Google site "AccessNorthKorea", just click THIS link. To check out the site first (not much there yet) you can visit it here. The file name is "AirportsAirbases-updated-12-1-15.kmz".